Welcome, Template Site is a premium source for high quality website templates, flash templates, flash intros, logo templates, osCommerce Templates, phpBB, Joomla and Drupal themes. Web templates can be used to build your personal webpage or huge corporate site, online shop or offline presentation or even as a design for the software you develop! And everything you create is going to be easy, fast and professional !! 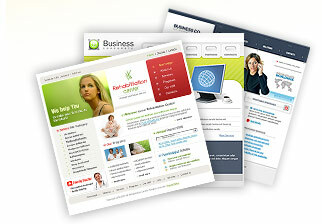 With each purchase you get Free Web Design Elements: photos, fonts, icons, logotypes, 3d models, sounds, flash buttons etc. Thank you for your excellent templates and your excellent customer service. I highly recommend Templatesite to anyone who requires a high quality template for a very affordable price. - Templatesite.org - Template Siti - Add Template Site to your favorites!